In 2000, Harvard professor and political scientist Robert D. Putnam published a book entitled "Bowling Alone." For a time, the book was all the rage in membership-based organizations as it attempted to explain, via an abundance of numbers, charts and graphs, the reasons for and effects of the decline of social interaction in our society. The book became less the rage when readers found it offered more on the whys and wherefores and less on how to reverse the trend. This trend, I might add, has continued its downward spiral since the book came out. 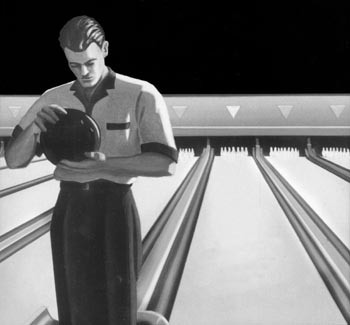 Putnam used the following bowling analogy to illustrate his premise: while the number of people who are participating in the sport of bowling has increased (Really? Meh, if he says so), participation in organized bowling leagues has declined. We are, therefore, "bowling alone." So, let's channel this over to Freemasonry: while interest in Freemasonry has increased (Really? Meh, if I say so*), participation in organized Freemasonry has declined. I got to thinking about this while reading Robert Johnson's article, "What If We Actually Did Masonry?" (http://bit.ly/2rcttOi). In it, RWB Robert wondered what would happen if, instead of running business-saturated Lodge meetings like we do now, we used the bulk of each meeting for Masonic education. The more I read, the more I kept thinking, "attendance would go down even more." Fortunately, Robert backed me up on that: "What would happen if we ALL changed the order of business, so that Masonic Education came right after the opening? What would happen if we spent twenty, thirty, dare I say an hour on a topical presentation complete with questions and answers with discussion from the brothers? ...The chances are we would lose a lot of members by doing this." Part of the issue is our society has become so "over-the-top." Back in the day I could go to a rock concert and watch the band simply set up and rock on. Today, for the attention-span-challenged, that same band on tour has to have flash, pyrotechnics and videos behind it while it plays. We expect so much more. If we held Woodstock today, we'd have to set the stage on fire and launch the space shuttle behind Country Joe and the Fish. Try adding that kind of glitz to an hour-long discussion of "the symbolism of the point within a circle." The other issue is that our boring meetings compete with the likes of 70-inch big-screen TVs with practically any movie ever made available any time we want it. Add to that the constant buzz of activity on our smart phones, which sometimes includes 24/7 availability for our jobs and, oh yeah, the small matter of our family activities. You want to match all that against a lengthy discussion of a point within a circle? Without pyrotechnics? With all the activity and excitement happening around us we stay home glued to our cell phones and have less real social interaction. We bowl alone. So what could we do to stem this tide? Easy… We could get rid of all TV's, smart phones, the Internet and especially those fidget-spinners and go back to the time when our grandfathers had nothing to do for social interaction and entertainment but go to a Lodge meeting; and, by the way, do you think granddad's Lodge spent an hour on Masonic education? Well, we can't go back, can we? But we can take advantage of what we have. If you want Masonic education, go get it. We don't have to depend on our Lodges for it. And more than granddad, who had to borrow a book or go to the library, we have the world at our fingertips. Listen to podcasts like "Whence Came You" or "The Masonic Roundtable." 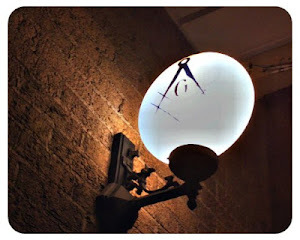 Read Masonic blogs like… hey, you're doing it right now. Do some research and write an article or two. Who knows where this can lead? Maybe — and I know this is radical — one evening you can take your Brothers by surprise, stand up and present what you've learned in Lodge. Be careful. You should probably start out as if you're announcing a chili supper, then ease into your real purpose for speaking. The fact is if we don't get a lot of what we want in Lodge, the fix starts with each of us individually. It's just the way things are today. Look at that. We're just like the rest of society. If we want something other than business meetings and bean dinners, the hubbub, toys and distractions of modern-day society are backing us into a corner and forcing us to go "Freemason-ing alone." Steve, this is an interesting take, but I want to flip it over for a minute. Consider all of the changes made in the last 20 years that "simplified" learning the basics in a Masonic lodge. Fully printed ritual books, accelerated degree conferrals, one day classes, reduced proficiency requirements (or none), insistence on the advancing officers' line no matter what that result in 2-year members becoming Masters (like myself), shorted and abbreviated degree lectures (like many states have done to the long Middle Chamber), and many more. Why was all of that done? Ignore the chicken-egg question (was it lack of mentors, or lack of attention span by members). Concentrate on what it did. After 250 years, the bond created between a new Mason and his personal mentor was finally shattered so that new members now can just pick up a book and study on his own without any assistance. Indeed, most are EXPECTED to now. The last jurisdiction I know of that demanded full mouth to ear instruction for EVERYTHING with no printed assistance was Pennsylvania. To learn the Master's part for the MM degree had to be passed from a Past Master to a student, and often took YEARS to fully learn (go see Pennsylvania ritual sometime and you'll be astonished at what they have to memorize). Men have told me of spending nights and weekends with their mentors to learn these parts, and Pennsylvania demanded perfect proficiency before installation as Master. That formed a personal bond between those two Masons that could NEVER be broken, and in turn, the new WM took up that role for another man. The chain was unbroken. That's the way ALL jurisdictions worked, and were always designed to work. We've smashed that today, pretending that we were "solving" a problem, when in fact, we were only creating a bigger one. Isolation. Learning "on our own" does not create a society of friends and Brothers who can best work and best agree. It creates ever more isolated, unconnected men, who often drift away from participation because they feel nothing at their meetings but impatience or boredom. And yet, how many of us stand up and ask for ten minutes to discuss a symbol, or a point of ritual, or why we do some arcane bit of floor work, or the source of a term, or the meaning of a Biblical passage? How many of us have stood up and simply said to the room, "Have any of you wondered why..." and started a discussion? No, Freemasoning Alone is exactly the WRONG answer to solving what ails us as men, Masons, and lodge members. This was always intended to be a group effort, and we are where we are today precisely because we stopped that tradition. I think there remains the metro/non-metro lodge dilemma. If we do insist on the group experience, then many non-metro lodges will close. (Don't nitpick here--Yes there are exceptions but my experience in/around Muncie (non-metro) and Denver (Metro) has shown me these lodge operate entirely different.) I get what Chris and Steve are saying and suggest that there's probably an equilibrium between individual and group experience in the growth of a Mason. I agree with Chris. Nobody advances in Masonry through their own individual effort. It takes an entire Lodge to *make* a Mason. It takes three Masons to *exalt* a Royal Arch. The AASR is unified as a *Camp*. The EA tells us to *adopt a child like attitude*. We *need* morality, guidance, and consolation - we want to know how to live (to brutality paraphrase Alain de Botton. This is not achieved by giving us information and processing simply as rational individuals. To be childlike is to admit our vulnerability and express and share it with our peers, and through helping them, growing a bit ourselves. It's time to kill orthodoxic freemasonry, and get back to orthopraxic freemasonry. And none of us can do it alone. I had to do everything alone, from transcribing the 1 letter key, to the memorization, to the advancing, to running a lodge, rebuilding membership from 3 to a functioning lodge. One thing this did for me was actually make me interested n learning. I read everything I can. Study things no one looks at or thinks of. It has forced me to believe that every word, and every display f the ritual has meaning. There is room for going on one's own. Freemasonry after all is an individuals journey, and when a group interferes you get communal attitude and groupthink tomfoolery. I think the people who feel Freemasonry is only about the group, miss the point. They hold in too high regard their comrades-in-arms and their leadership, and too low regards themselves. The ritual teachings are their to bring you closer to your faith, not the group closer to party. I feel the group is good, and a necessary part, but those who fail to see the importance of the individual over the group, the individuals need to discover for themselves, vs being told by a pre-ordained minister of knowledge, who may be so far off the beaten path, he too has lost the meaning of the very instruction being portrayed: (Just take the 20th degree of the NMJ (granted I think I'm using an older ritual from the '90's) and look how far they went to get the word Charity by its classical definition right, and how wrong they got the meaning of the word treason [loss of faith, breach of fidelity was its meaning until towards the end of the 100's]) wrong. No, my friends and my brethren, Masonry is there to teach the individual, with the group being a reprieve from the mundanities of life. And I fear those who don't see that, have entirely missed the point of its teachings. When we say things like, "It takes a lodge to make a Mason." I feel like that's an incredibly acute statement. It was an individual decision to join a lodge and outside of the necessary investigations and the degree work, which does require actual bodies, I feel Freemasonry is almost entirely done alone. What I mean by being done alone refers to the study of the holistic values and esoteric ideas. It also refers to the study of it's history and contextual meanings so that we understand what we were demanded to memorize (or not). Whilst many Brothers who have commented here, likely had this amazing lodge experience and are close to the members in their lodge for having been brought into the lodge and made a Brother, there are more I would argue that do everything outside of the degree work, on their own. Their own study, their own reading, their own time. I think it's the normal and it's not necessarily the fault of a lodge for "failing" this brother-- that is, we can't see a Brother who is "Freemason-ing Alone" and think, "Shame on that guy's lodge." Largely, that may be the way the members of that lodge operate. Especially if it's a bunch of techy dudes. I often agree to mentor or to be the intender for a candidate. I reach out, I give my number, I explain that they can call me day or night--"I'll meet you whenever, wherever", I tell them. You know when the next time I hear from them is? When they're ready to return the catechism. You know who they practice it with? Their wife. And in some cases a friend at their work who is a member but never goes to meetings. As has been stated, there is a distinction between the metro and rural lodge experience. It does play a role. But the fact is, society is changing, the norms are changing. Some say people are disconnected, and that's not always a bad thing, it's the evolution of species. Some of us would argue however that we're actually more connected than ever before. My most successful mentee ever, Javier for example, only ever contacted me through Facebook Messenger. I mentored a dude through text. He returns his long form 3rd next month and is what I would call a symbolic adept. I realize that may sound odd, but that was the medium that worked best for both of us. I feel there is a large disconnect in the critique and what certain people here are saying. The materialistic "Freemason-ing Alone" V. the Holistic "Freemason-ing Alone". Are we hung up that dudes aren't actually physically present? Or are these guys both not physically present and not connected at all, receiving the degrees and never having anything else to do with the Craft? Only the latter of the two is pertinent. Just my two cents, and in closing, I just want to say whilst this may be a hard pill to swallow, I don't think there is anything wrong with going the path alone. In small towns or small states with little saturation in the craft, this is probably a harder concept to deal with, but nonetheless, the fact remains that today people do what they see value in, they do what is comfortable and sometimes that means doing it by themselves, especially when we have dudes joining who already know more about the craft than the dudes investigating him do.